I’m 34 yrs old and back when I was 6 I learned my cursive with a similar product, since has little and big squares it was very easy to practice and end up with a very good handwriting, it is the standard handwriting method in Chile. But now that I an adult and have a 5 yr old of my own I find very difficult to teach my daughter her letters. I was going to order some from Chile and spent lots of money just on the shipment. I am so glad I found it, I tell you that is a great learning method. Our kids love your writing pads! As a child learns to write there are many challenges with using blank paper or lined paper. Your writing pads provide blocks that help the children organize their characters on the page. The shaded row is perfect for them with lower case letters. It provides the correct spatial area that an early writer needs. I have seen some rapid improvement in the children’s writing with them using your pads. Thank you for making this kind of tablet. My grandson is a rising 3rd grader, and his handwriting is awful. Teachers no longer emphasize penmanship in the classroom. However, they are quick to complain about his handwriting. I will use this summer 2016 to hone his writing skills. Thank you for making this kind of tablet. I can emphasize to him that most letters begin with a vertical line or end with a horizontal line. He can understand how to stretch out a letter by filling the small square. He can understand spacing between words. It is different from the Mead line tablets in that it gives you an understanding of vertical lines in letters. Hopefully, by the end of summer, his penmanship will be better! I have seen tremendous growth! The ONLY tool that worked! “This is a fantastic resource for your classroom!!! I had the privilege to be one of the first teachers to try this product in a classroom. As a kindergarten teacher I watched my students struggle with forming letters correctly and writing letters to large. This was the only tool that worked. Writing skills went from illegible to legible. Channie’s paper helps students visually plan and self-monitor the formation of letters. Use of this intervention will help young children place their letters on a line and use spatial recognition to write independently. What a great product to help children learn to write correctly. I’m very encouraged that the US education system will adopt Channie’s new writing pad. What a wonderful way to help children! I was privileged to be one of the first teachers given the opportunity to test out this handwriting paper. As a second grade teacher, I am constantly looking for resources that will help my students who struggle with handwriting. This is the first tool that I have utilized that has had significant and consistent impact on my students’ handwriting. Not only have students developed the skills necessary to form their letters appropriately, but when they are ready to transition to regular paper they carry those skills over to their daily writing. Two years handwriting struggle, fixed in 2 months! I am Channie, a mother of a 10 year old Alex. I went through a struggled and difficult first two years of his school because Alex’s handwriting problems, such as letters are too big, or too small; too high, too low; landslide style; too crowed or too far apart etc, to a point, the teacher, I, and especially Alex were all frustrated. This prolonged handwriting problem also delayed his learning ability. I searched and searched on internet, tried to find something visual, simple to guide his handwriting, but all the lined paper that didn’t help Alex in the past two years, matter of fact, he was confused by these lines. So I have no choice but to design something my own to help him– Channie’s visual handwriting workbook was born. 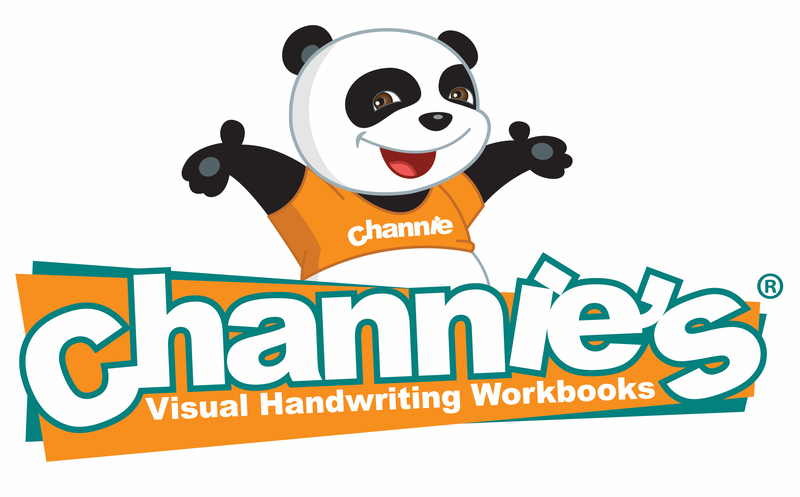 The sooner the young children start their alphabet learning by using Channie’s visual workbooks, the faster and easier for them gain visual understanding of basic writing. It helped my son in just short two months, it will help yours too!